[SatNews] Gilat Satcom today launched its ‘Village Island’ portfolio which enables rural villages and remote communities in Africa where ARPUs are low to take control of their digital futures. The Village Island will be launched at the Innovation Access Digital Africa summit which will take place April 14th-16th at Victoria Falls in Zimbabwe. Village Island has been specifically developed to provide the Internet, VoIP and Video over IP over an affordable private satellite network with prices for connectivity for individual villagers starting from $1 a month. 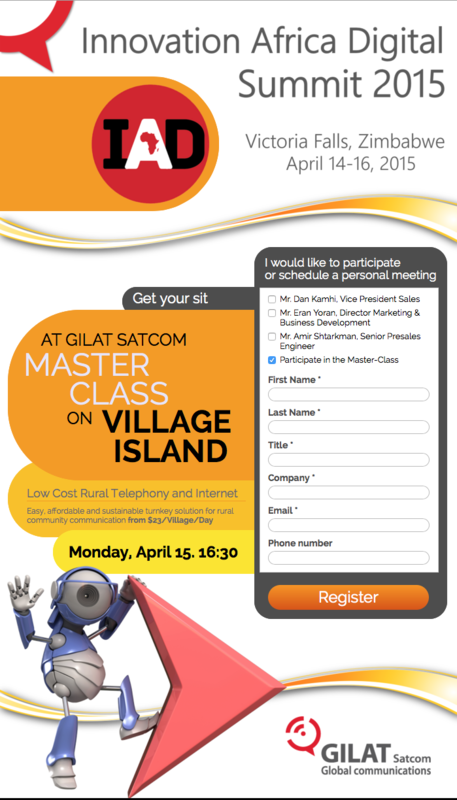 Gilat Satcom’s Village Island will be provided by Governments, NGOs, cellular and telephony operators, major ISPs and others to a group which will act as the Village Nano-ISP. This group could be a church, a school, a village chief or another community organization. Gilat Satcom, a communication solutions provider, offers satellite and fiber-based connectivity solutions in Africa, Asia and the Middle East. With successful deployments in 50 countries, Gilat Satcom delivers communications solutions to telcos, ISPs, governments, enterprise customers and international organizations. The private Village Nano-ISP will be responsible for selling the services direct in the village, billing users and paying the monthly service charge to the provider. Gilat Satcom provides detailed business plans to enable both the network providers and the Village Nano-ISPs to build profitable and commercially sustainable services. Basic Island — this provides the Village Nano-ISP with two tablet devices for Internet browsing and domestic and international VoIP and Video over IP calls. Usage is uncapped and a fixed monthly rate is charged. Calls to regular telephones and cellular users in the country and anywhere in the world can also be made and will be billed separately to the Village Nano-ISP. Wi-Fi Island — As well as the Basic Island package, this includes a router for Wi-Fi coverage with a 500 meter radius. Individual usernames and passwords can be generated to allow the community Nano-ISP to track usage and bill accurately. Customers can use their own tablet or smartphone on this network or the Village tablet. Additional routers can easily be added as demand increases and to extend coverage. Cellular Island — As well as the Wi-Fi island service, this includes a GSM base station — which can also be solar-powered — which will be integrated with the network of a local cellular operator. This integration will be managed by Gilat Satcom. 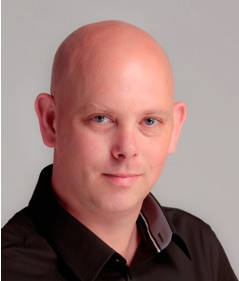 Eran Yoran, Director Marketing & Business Development of Gilat Satcom who will speak at the Innovation Access Digital Africa summit, said, “Providing affordable access in Africa is an ongoing theme for the telecoms industry. There are many entrepreneurial people living in rural Africa who would gladly run a network if they had the tools and know-how available to make it work. We have worked for a long time to provide a solution which is both affordable for the village end-user and profitable for the entire supply chain. Village Island is economically self-sustaining and scalable so it can grow with demand and with a minimal additional investment. 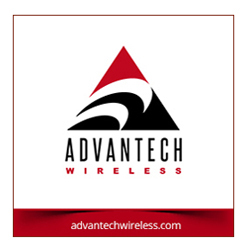 We have established a business plan that targets users with $1 a month to spend on telephony and is still profitable." The company operates three international teleports in Europe and the Middle East, fourteen hubs/PoPs in Africa, two PoPs in Europe and one in the US. In addition, Gilat Satcom is a shareholder in WIOCC, owners of the East African Submarine System (EASSy), and in the West Africa Cable System (WACS), with undersea fiber-optic cable systems connecting eastern and western Africa to the rest of the world. Gilat Satcom also provides space segments over numerous satellites including Intelsat, Telesat, Hellas Sat, ABS, SES-NewSkies and others.